BRIDGE STEHLI: Stupidkrap and Bridge Stehli at Finders Keepers Market. Stupidkrap and Bridge Stehli at Finders Keepers Market. 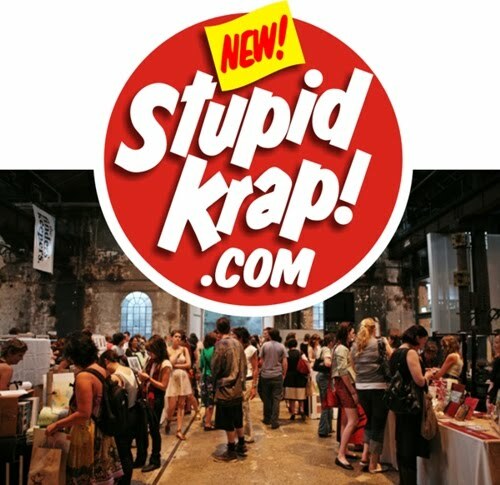 STUPIDKRAP.COM at Finders Keepers Market ! and Numskull. Also in stock are our ever-collectable, limited-edition prints and products by: Anthony Lister, Kill Pixie, Beastman, Mark Drew, Rico, Love Ariel, DMOTE and Meggs. LIVE SIGNING of Bridge Stehli's new set of 3 prints at 2pm on Saturday May 8th! Come down and meet some of the artists and get yourself a bag full of NEW STUPIDKRAP! The Finders Keepers are design and art markets dedicated in supporting young emerging designers and bringing new contemporary design to the forefront in Australia. The markets are FREE entry for all and feature live music, with the CarriageWorks cafe and bar open all day.